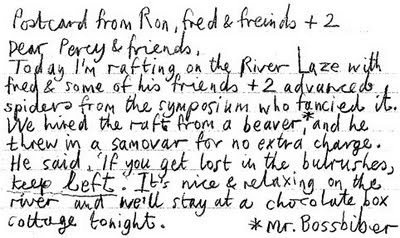 Today I'm rafting on the River Laze with fred & some of his friends + 2 advanced spiders from the symposium who fancied it. 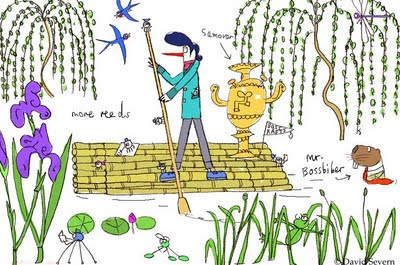 We hired a raft from a beaver*, and he threw in a samovar for no extra charge. He said "If you get lost in the bulrushes, keep left." It's nice & relaxing on the river and we'll stay at a chocolate box cottage tonight. 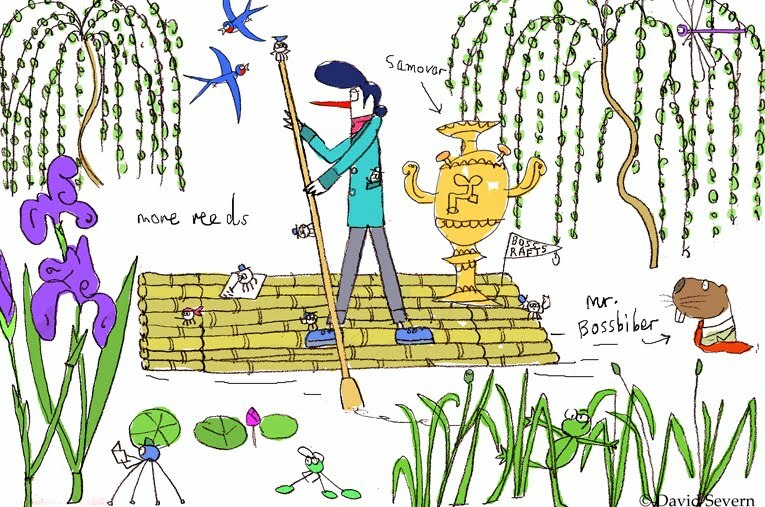 I'd love to be a bookworm on this raft.